Tool Box is an edition of 10 custom designed, handmade boxes that contain a set of limited edition artworks from five different artists. It is the second iteration of the Tool Book Project, a multi-modal art project that provides a direct action platform for artists to share their work and raise funds for non-profit groups. 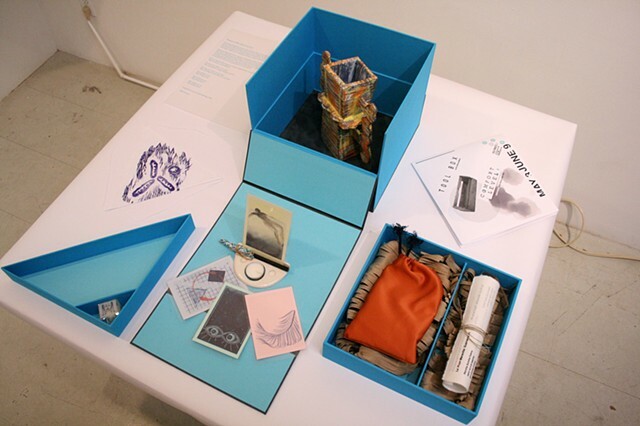 Each box contains five editioned artworks from five different artists that inspire, support and create dialogues of care,communion, and comfort. Tool Box is a fundraiser for AgitArte, an organization of working class artists and cultural organizers, who provide material and cultural aid in the aftermath of Hurricane Maria to the people of Puerto Rico.